Solanas fired three times. She missed twice, but the third shot went through Warhol's both lungs, his spleen, stomach, liver, and esophagus. She then shot art critic Mario Amaya in the hip. She tried to shoot Warhol's manager Fred Hughes in the head but her gun jammed. "I consider that a moral act. And I consider it immoral that I missed. I should have done target practice." 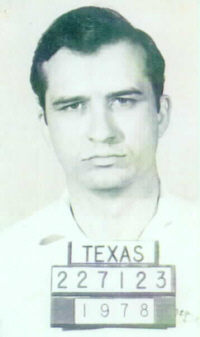 Serial killer Kenneth Allen McDuff aka The Broomstick Murderer is executed by lethal injection at the age of 52 in Huntsville Prison, 815 12th Street, Huntsville, Texas, United States. McDuff's final meal according to death row chef Brian Price was a hamburger fashioned to resemble his request of a steak.